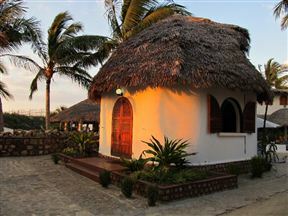 The Chez Maggie is a small, intimate property located directly on the beach. This is the ideal romantic hideaway in a comfortable garden setting. The relaxed setting has double-storey chalets and bungalows.